In December we gathered in Dutch Flat for the funeral of Bill Newsom. 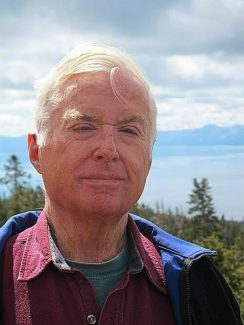 For a guy who had been everywhere — and knew everyone, it was no accident that he chose a final resting place beneath the cedar and the pine of his beloved Sierra. Bill was a man of the mountains. He lacked any capacity to tolerate injustice of any kind, anywhere — especially in the Sierra. And became, therefore, a hero of conservation — founding, for example, California’s Mountain Lion Foundation, as well as serving on the Board of Directors for Sierra Watch. For a small, regional nonprofit like ours, Bill was what you’d call a good get. Bill had experience in law — as a judge, even. He was a proven leader. And Bill had d Bill had connections. His son, at the time, was Mayor of San Francisco — imagine that! So when Bill agreed to meet with me back in 2003, I was stoked. He granted me 20 minutes and told me to meet him for coffee in Colfax. Two hours later, we were still talking. 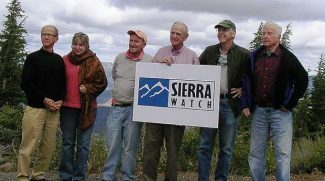 Within a few months, Sierra Watch had a new board member. And I had made a friend. Over the next six years, I came to understand and appreciate what Bill meant to the cause of conservation in the Sierra and to an organization like ours. It wasn’t just his connections. And it wasn’t that he turned out to be the best lunch date ever. Holding court at the New Moon in Nevada City, he’d people his anecdotes with characters like Adlai Stevenson and Aldous Huxley, throw around lines from Yeats and Frost. He strategized with Senators — and partied with Rolling Stones. But beyond his connections and the conversation, the most important quality Bill provided to Sierra Watch was: clarity. Clarity of vision, clarity of action. Sometimes our work can bog down in political nuances and strategic consternation. Not for Bill. He had a way of divining what was truly at stake — and what we should do about it. ned to Bill for guidance. With characteristic clarity — and a biblical reference — he proclaimed the project as completely unacceptable and set us on our path to Keep Squaw True. 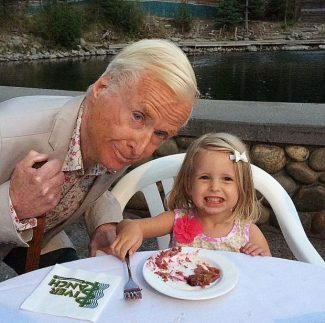 Bill left the board the next year, and we threw him a party — a proper asada at River Ranch on the Truckee River. 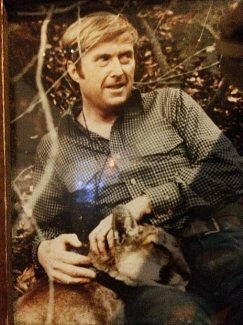 In case anyone had forgotten what kind of guy Bill was, there was picture of him on the restaurant wall — with a mountain lion. In his lap. Not a dead one either — just temporarily sedated as part of a habitat restoration program. It was the kind of picture you might find of ‘The Most Interesting Man in the World.’ Except it was real. Just like Bill. In the years that followed, we remained friends. And Bill remained committed to our shared cause. Now it’s up to us to remain true to Bill.